So, a bit of a sad update on this project. My external hard drive recently gave up the ghost and took all my “in progress” projects and completed project files with it. Unfortunately I just don’t have the heart to redo the work I lost, especially as life has got a bit busy recently with a job change, house move and deciding to do a half iron man. To top it all off Vimeo has just shut down my account because my videos contains copyrighted sources. So that’s probably the end of these movies I think. My current plan is to take time away from editing and then focus on the live action TV shows… The Mandalorian should be great source material for a few movies. I must admit I’m not as convinced as I was for the first 4 edit-movies. The middle part doesn’t work that well, too many dialogues still contain the time factor that time has been passing by, but the idea of making everything happening in a row is very good though, I just think more should have been cut to accomodate it. 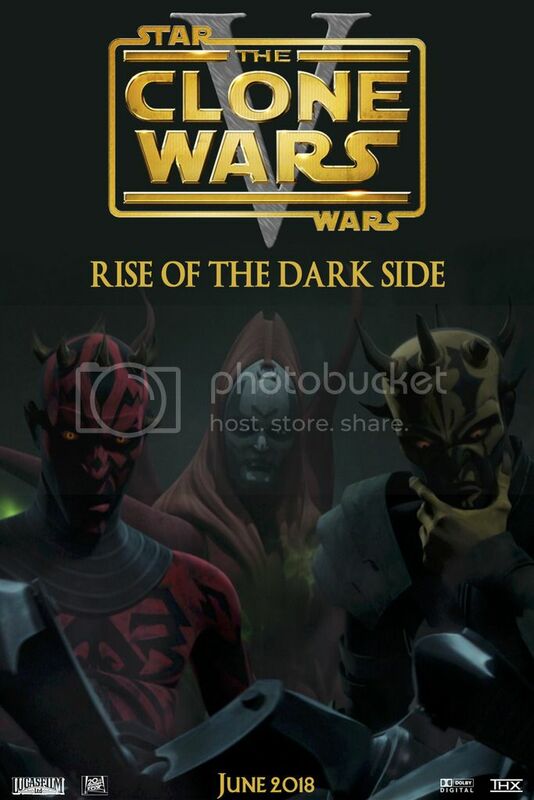 The same goes with spider-Maul, maybe trimming more to directly make the encounter with Savage happen in the main lair (which means getting rid of the fight and most of the Lord of the rings 3 rip-off) would have been better. And I kinda miss the fact that the story goes too far away from Ventress and that we don’t get to see more of her bounty hunter life. It seems kinda dry without that substory, especially since it’s quite important in the season 5 finale. I believe cutting more of the repetitive stuff would have allowed the running time to contain more of the Ventress bounty hunter material, which should get the focus on. Maul, Savage, even Dooku aren’t very interesting. Ventress and the nightsisters are. I looked long and hard at the Ventress bounty episode, but the fact that it’s a totally separate story made it impossible to include whilst maintaining a flowing narrative. So in the end I compromised by just including the two cantina scenes, which at least shows you what she’s up to post Dathomir. As for the Maul/Savage stuff. I cut the fire breathers scene and trimmed Maul’s introduction. Trimming more would have affected the pacing IMO. Is there a quality difference between the 1080p version and the bluray version by the way ? Usually I take the bluray version for the extras and a better video-audio quality, but bigger doesn’t always mean better. Just to know. Looks better on bigger TV screens. Watched it and really enjoyed it! The cuts were all seemless and the pacing was very well does as well as the opening sequence and ending! Vimeo link is here with the usual password. PM for 1080 and Blu-Ray DLC files. Finally, episode V is done and has been submitted to fanedit. Available as a 720 Vimeo stream, 8GB 1080 or 20GB BluRay. Episode IV 1080 has been re-done and the Blu-ray will be ready next week. PM me if you want the links and I’ll get them out as soon as the fanedit page is up. But Umbara is the best one! It is, but sadly some great arcs have to be missed! smudger9, in which episode are you including the umbara arc? Probably not going to include it as an arc. It doesn’t particularly fit in with any of the other arcs. I will include the first episode upto Anakin getting called away… either because of Ashoka going missing or bacause of Padme’s capture in the Clovis arc. Still haven’t nailed down Episode VI yet. EPVIII - The Power of the Force - Mortis first episode with addition of the Qui-Gon scene going into the Citadel arc then the Ahsoka fugitive arc. Possibly an Extra Anakin-centered episode which would be the slavers and Clovis arcs. Sooooo Clone Wars season 7!! Hyped, but that puts my 9 movie plan out of the window! Anyway, Episode V is rendering… almost there. VII Deception arc and Maul/Mandalore arc. Like MalàStrana said, the Tarkin arc would be great. 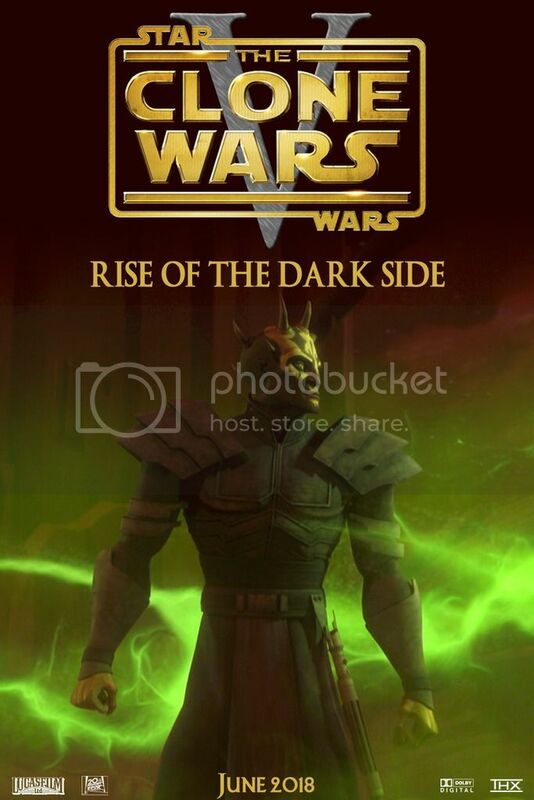 I’d love to see the Mortis Arc which fits with the continuity of SW Rebels. Not sure if those 2 arcs could be tied together. Can’t wait for episode V.
Tarkin and mortis are in my thoughts for VI. Looks fantastic Smudger! When’s the full ep5 due to drop? Do you have plans to dive into episode 6 now or will you take a break? Be ready in the next 2 weeks. Still needs to be rendered, uploaded and the artwork completing, plus I have a job interview next week! As for episode VI, I’m hoping to start with it straight away. Unfortunately it’s the only one I don’t have planned out so I’m starting from scratch. EPV now completed! I’ll upload the opening 5 mins as a taster later today. EPIV also re-done and is currently rendering. Should be uploaded next week. Looks like poster 4 was the winner! Thanks for your patience… hopefully it will be worth the wait. EPV is now 99.9% complete… almost there. I have also completed a re-do of EPIV (the sound was a bit of an issue). If anyone missed out on seeing it from me a PM. I’ve been tinkering with the EPV artwork and can’t decide which to go with. Any opinions would be appreciated. 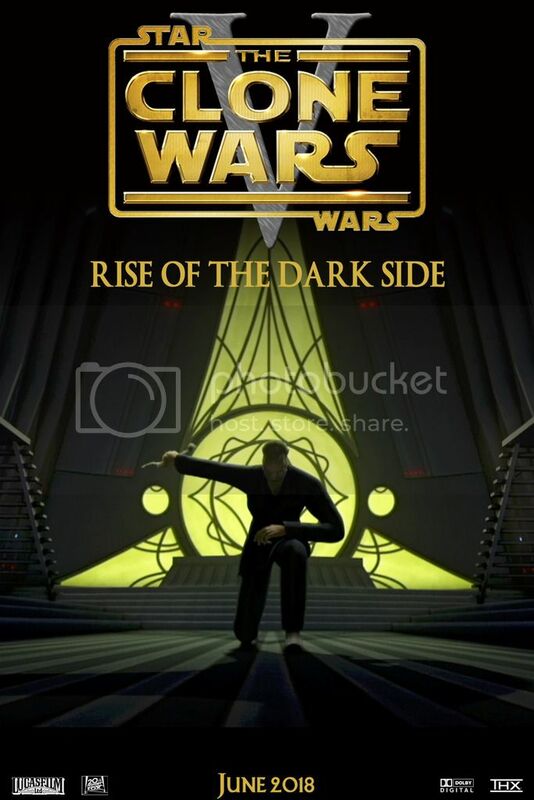 Dark Side Rising was my working title, I just thought Rise of the Dark Side sounded more Star Warsy. The Scene from Revival in Palpatine’s Office as the closing scene. Here is the new trailer as promised. 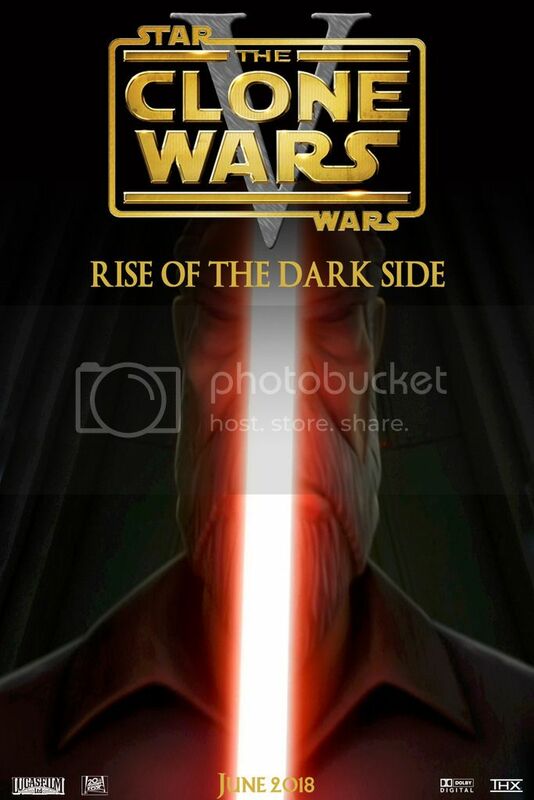 The full movie is almost complete. Before Episode V is released I need to tweak the sound mix for Episode IV and make it available again to those who missed it. Hope its worth the wait for you all. Apologies for the massive break, a combination of things including a massive relocation, a new job, a Final Cut Pro update screwing up my audio channels and just losing the hunger after 4 episodes. Anyway, the thirst is back and episode V is nearing completion. I’ve just reviewed a second completed cut and it’s looking close. I’ll have a trailer done in the next week. For those that didn’t manage to download EPIV, I still need to review my edit, having corrected the audio channel issues. I will be releasing that before episode V, so there will be chance to catch up. I’m not sure if this was supposed to be intentional or not. They were edited differently so it’s possible you meant for them to be different but similar scenes. Either way, it took me out of it. That was very intentional. Essentially one scene cut in half and used seperately. It was required in order to better link Mandalore and Geonosis. Not perfect, but it was the best I could do with the material. I need to correct an audio channel issue on the BluRay so I took that down. The 1080 is available. PM if needed. I’ll be sure to update if I come across any more. I agree about Obi-Wan’s reaction, but that is how it was done in the actual series and it really needs to be in there to show how strong his feelings for Satine are. Great catch on the reused shot! Not sure how I missed that one! All sounds very reasonable. I’ll take a look at it when I get the chance. Thanks for your input. The 1080 is fine and available. I need to sort out the surround sound channels for the Bluray. Aaaarrgggghhhh. This is infuriating. It appears to have happened since I updated Final Cut Pro X. The only order the damn thing will export the surround sound in is L C R Ls Rs LFE. Just a quick remark: you should ask someone to read your opening crawl next time 😃 (“seperatist”). And it seems there is the same technical issue present on your other episodes, some kind of frame slow-down in speed for transitions wipes. I don’t know if it’s intentional or an editing issue (i.e. something you can’t correct). I think you’ve interverted 2/3 and 4/5. The frame slow down in some of the wipes is intentional. Its usually when I’m creating a transition between 2 separate stories. The cuts are often too abrupt, so I have to slow the speed down slightly to create a wipe. As for the channels, I’ve just checked and you’re absolutely right. I work with the standard channel set up in Final Cut Pro and I have the audiobars visible whilst editing, so they are definitely correct, however, Compressor has exported the channels in the L C R Ls Rs LFE order. How bizarre.